Looking for a quick, easy meal? 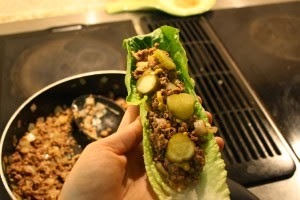 These lettuce wraps are one of our favorites! 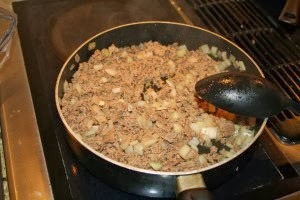 1- Brown Ground Beef and Onion. Drain off the fat. 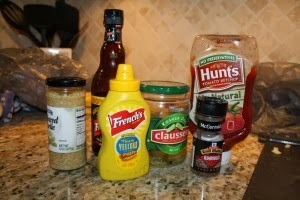 2- Add in Garlic, Hamburger seasoning, Worcestershire, ketchup and mustard and stir. 3- Cook on Med Low for around 5 minutes. We serve ours on Romaine lettuce leaves topped with pickles and any other hamburger type toppings you prefer. My husband really likes his topped with blue cheese.